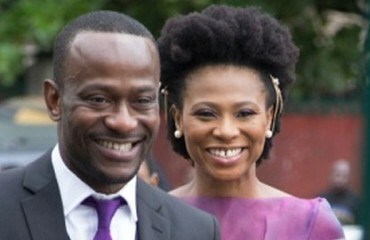 True to reports, Nse Ikpe Etim got married in a Valentine wedding. For her civil ceremony marriage to beau, Clifford Sule, Nse wore her natural hair in a big Afro held up at the sides with golden accessories. I'm so loving it! I was seriously thinking of cutting my hair this weekend after I heard my last stylist quit the salon, but this Nse's hair is giving me life. The way she rocked it the next day at a reception with close friends including Rita Dominic, Waje, Thelma Ojiji, Uche Jombo, Dakore Akande and Michelle Dede, was extra super. In the pictures below, you can see how she pulled it up all the way into a fierce mohawk! 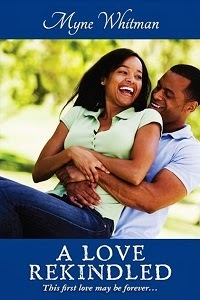 Nse's love story [Read Here] with her husband, Clifford Sule, makes their smiles in this picture even sweeter. Happy married life to you Nse and Clifford Sule. And to you Nse, more growth to your Afro. Finally, who is her hair stylist, please?